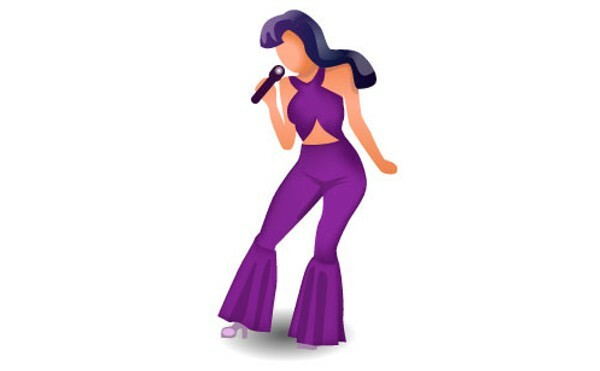 Is the long awaited Selena emoji finally almost here? - Fueled by chile, frijoles & tortillas. Is the long awaited Selena emoji finally almost here? Maybe. Well that’s been the speculation so far at least, ever since the developers of the “TexMoji” app announced recently they are introducing the first ever Texas-themed emojis, in about a month. Expected to cost about $1 per download on itunes, the new app will feature popular Texas personalities and things, including Willie Nelson, Shiner Bock, Blue Bell, Whataburger and Dr. Pepper. A taco is also rumored to be included in the first 100 emojis to be released on the app. The inclusion of Texas superstar Selena Quintanilla Perez in this first batch of emoticons has not been confirmed by the developers yet, but it would seem a Texas-themed emoji app without her would be incomplete. Just saying. Here’s one rendition we found online that kind of rocks!